Keith was born and has lived all his life in Stroud, Gloucestershire. 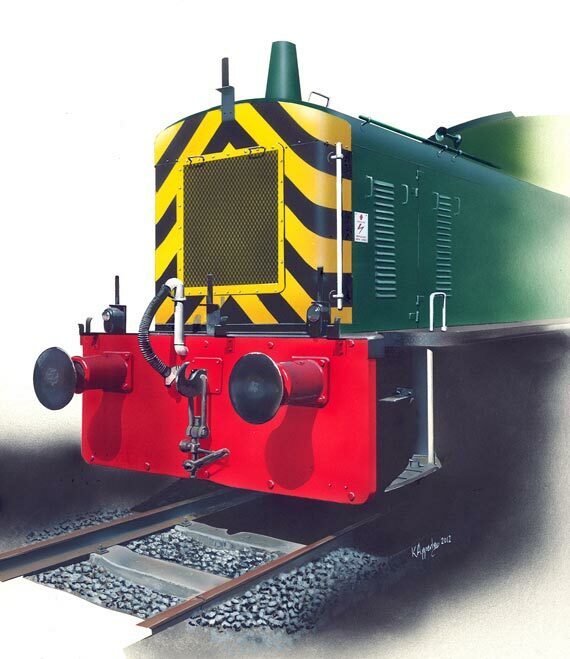 Trained as a mechanical engineer and working in design and draughting at a local mechanical handling company, Keith was involved in producing artistic layouts and scale models. During this time he was seconded to a film company producing promotional videos, acting as engineering liason, creating artistic layouts and advising on technical animations and anything that would bring the subject alive to non-technical clients. 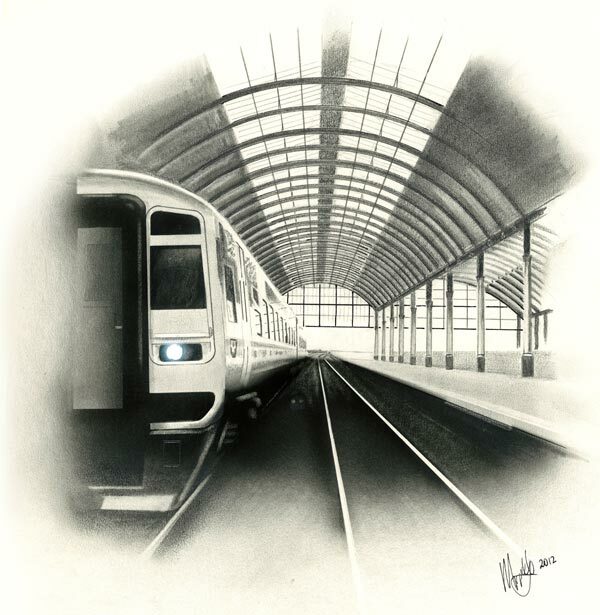 For the past thirty years Keith has taken numerous commisions on various subjects from motor bikes and cars to buildings of architectural interest, usually in pencil and watercolours. 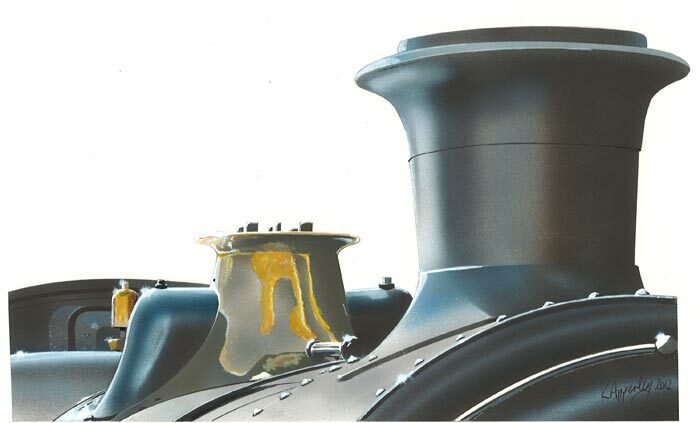 His engineering background and eye for minutia has led him to concentrate on highly detailed airbrushed artwork that depicts sections of a subject rather than the complete picture. 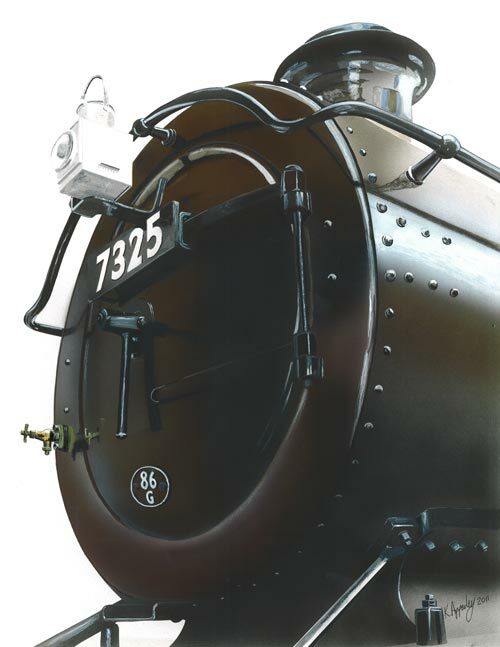 Having joined The Guild of Railway Artists in 2012, he now concentrates on the subject that interests him the most and has produced a number of works for exhibition at both Kidderminster and Shildon Railway Museum. Preserved Great Western class 42xx, 2-8-0 goods loco, as seen on the Bodmin and Wenford Railway in 2012. Class 158 DMU arriving at Hull Paragon terminus, 2011. Class 03 diesel shunter as seen at Moreton-on-Lugg industrial estate sidings in 2012. Preserved Great Western Railway class 4300 loco No. 7325 in 2010. 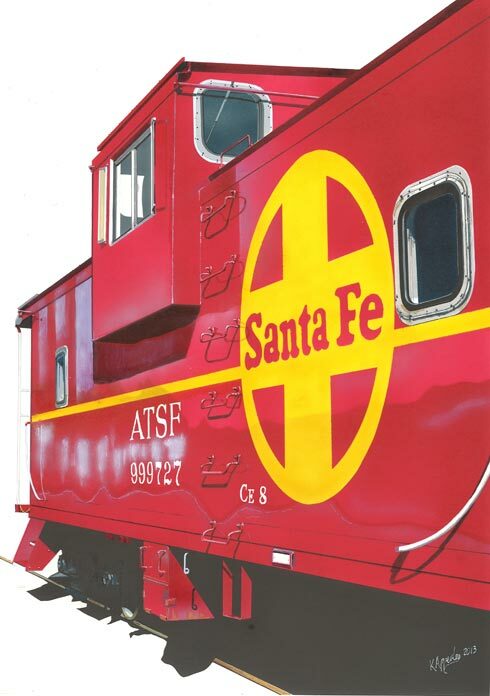 Santa Fe caboose preserved on the Grand Canyon Railway, USA, as seen in 2012 at Williams, Arizona. 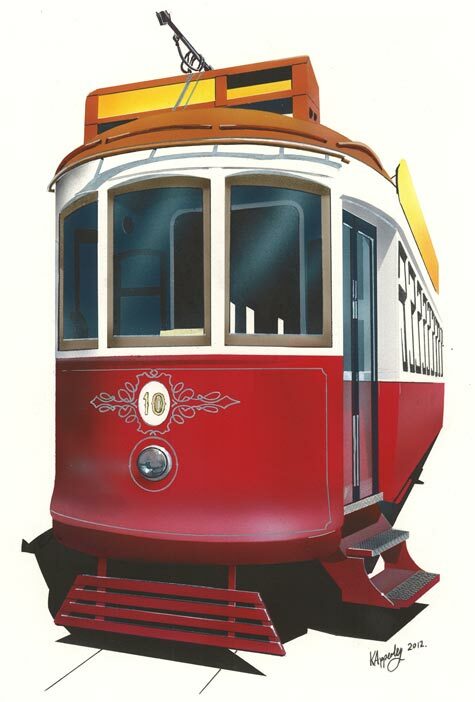 Antique electric tram of the Lisbon transport authority, Lisbon, Portugal - 2011.